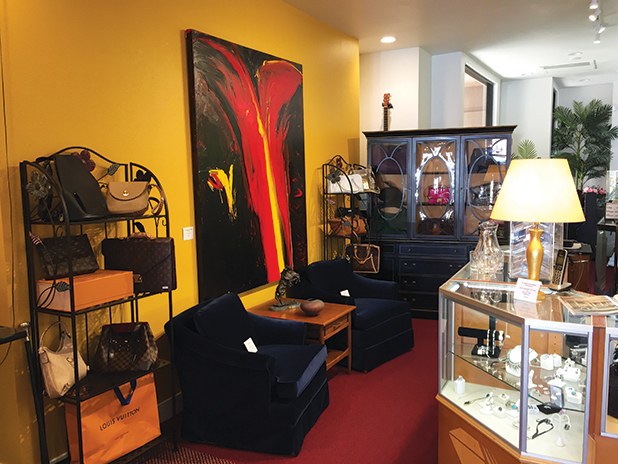 Fine Jewelry, Fine Art, Designer Handbags, and so much more. Featuring all the best brands you know including Cartier, Gucci, Louis Vuitton, Tiffany, and Chanel and the finest Watches by Rolex and Patek Phillipe. Top names in the art world including Erte Bronze Sculpture, Clinton Hill, Botti, and Simon Pierce. Also home to Midcentury Furniture and Vintage Thrown Pottery.